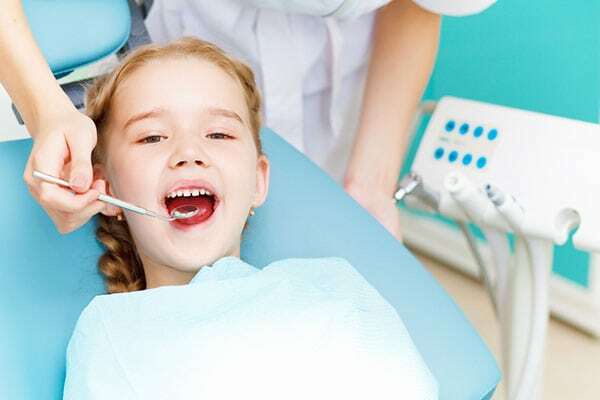 Is your child at risk of cavities? One of the biggest challenges we face as oral care experts are between what people think and what is actually true. When it comes to children and the importance of oral hygiene, we often find there are many misconceptions with most parents believing that good oral care should only begin at the growth of permeant teeth. As a result, we see children suffering from cavities often brought on by poor hygiene. Cavities are damage to your teeth as a result of tooth decay and that is one of the first signs that urgent dental invention is needed. Unfortunately, they seem to have a domino effect – meaning the more you have, the more likely you are to develop a few more. This could interfere with your child’s normal functioning, making tasks like biting and chewing unbearable at times. If bacteria reaches your child’s gums, it can cause an infection resulting in inflammation and swelling. When your child first develop a cavity, they may complain of a sharp pain when they eat or drink something that is hot or cold. This is the first signs of teeth sensitivity that comes about as a result of the nerves of your teeth being left exposed. This is caused by cavities that eat away the hard, protective layer of your teeth. If the cavity causes an infection to the nerve of your tooth, extractions may be the only choice. Here’s a list of some of the biggest risk factors for cavities. Establishing good oral hygiene from a young age could eliminate potential problems in the future. This includes teaching your child to brush twice a day and also getting them in the habit of flossing at least one day. While at-home care is important, regular dentist visits are just as important as they prevent cavities and infections from occurring in the first place. Foods with a high sugar content are your teeth’s worst enemy and our biggest battle! The war between good health and bad health depends largely on you and what you choose to feed your little one. Bacteria in your child’s mouth feed off fermented carbohydrates which are known to us as sugar. The more sugar they consume, the more bacteria will exist in on their teeth and gums causing tooth decay and eventually leading to cavities. Acid plays a similar role as sugar in increasing your child’s risks of cavities. The protective layer around your teeth, known as enamel is broken down by acid, exposing your teeth to breakage and decay. Soft drinks, fruit juice, sports drinks, vegetable juice and other flavoured drinks have a lot of acid in them. To avoid cavities, make sure your kids have a well-balanced diet and that they drink a lot of water. Identifying problems in their early stages makes it easier to manage your child’s problem before it spreads. If you feel your child has a high risk of cavities, book an appointment at our Torquay practice today to get the treatment you need.